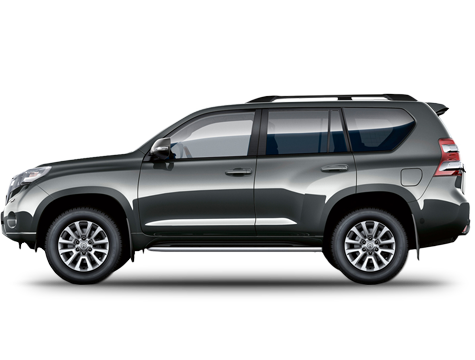 The Toyota Land Cruiser has long been the most popular SUV in Iceland for the last 25 years or so, and for a good reason. Comfort and luxury and rugged durability in equal measures guarantee a smooth, safe and enjoyable ride – wherever you may feel like wandering whilst in Iceland. The Land Cruiser 150 4x4 can sit 7 people for a comfortable trip, and in a 5-seat version the room for luggage is enormous. With an 87-litre fuel tank you can safely cruise along silky tarmac as well as tough highland roads without worrying too much about the next gas station. Superior suspension and outstanding 4x4 abilities ensure an exceptional driving pleasure, whatever the terrain. The Toyota Land Cruiser is a vehicle without compromises when comes to driving in Iceland.